Individuals and families with a love for the river and a vision to restore it to its rightful ecological health and vitality have helped to create and build Friends of the Mississippi River (FMR) into the 25 years strong, nationally recognized river conservation organization that it is today. These river conservation values are steadily influencing others in our growing and diverse community that the Mississippi River is our wellspring and needs our care. Not only is the Mississippi River the source of drinking water for over 1 million residents in the Twin Cities, but Minnesota is also the headwaters state - and the Twin Cities is the first major urban region of this globally significant resource. FMR donors who have the foresight to imagine an even healthier river beyond their lifetime can express this by creating a planned gift to benefit FMR. FMR can be named as a direct beneficiary of specific assets, a portion of your estate, or your residual estate after payment of other bequests. 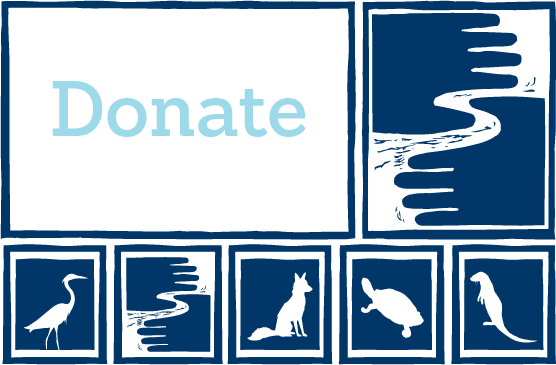 You are also enrolled as a member of the Mississippi River Legacy Society, a growing group of donors who have established a Mississippi River legacy through a planned gift. Expression of your river conservation values: You are leaving a river conservation legacy by providing financial resources to protect our most precious natural asset in the Twin Cities—the Mississippi River—and ensuring the health and beauty of the river and our state’s water and land resources for future generations. Tax Savings: A planned gift can provide tax savings to you and/or your heirs. Freedom and Flexibility: Your plan is revocable; you may change your mind and your gift plan at any time as your life circumstances evolve. Following are various vehicles that can be used to make a planned gift to Friends of the Mississippi River. For additional guidance or to let us know of your plans, please contact Tessa Enroth, Individual Gifts Officer at 651-222-2193 ext 22 or tenroth@fmr.org. For your planned giving records, FMR's Tax I.D. number is 41-1763226. There are a number of ways to make a bequest in your will. The most common and most preferred bequest gift is for unrestricted support. Following is sample language that can be included in a will or estate plan. There are many ways that you can use your life insurance policy to benefit both you, by maximizing your federal income tax deduction, and Friends of the Mississippi River, giving us a generous gift to help people understand, restore and protect rivers and their watersheds. A Charitable Remainder Trust is a tax-exempt trust that pays income to your designee. When the trust terminates, the remaining assets would be paid to Friends of the Mississippi River. Leave a lasting legacy by choosing Friends of the Mississippi River as a beneficiary of your retirement plan. The gift is exempt of federal estate tax and is a “tax-smart” way to maximize the impact of your gift and minimize taxes. You can make a gift of a personal residence to Friends of the Mississippi River while retaining the right to live in it for life. FMR has gift acceptance policies that may limit or prohibit certain gifts of real estate or property. Please contact us before choosing this planned giving option. A tax-advantaged way to pass assets along to your heirs. Fund a trust that pays income to Friends of the Mississippi River for a period of time (such as your lifetime or a number of years). Then, at the end of the term, the remainder is returned to either you or your heirs. The information presented above is not intended to be financial advice, so please consult with your financial or estate planner. FMR would be happy to work with your trusted advisors on your river legacy. To learn more about creating a lasting Mississippi River legacy by making a deferred gift to benefit FMR, please contact Tessa Enroth, Individual Gifts Officer, at 651-222-2193 ext 22 or tenroth@@fmr.org or fill out the linked form.